Mr. Meisen is a graduate of the University of California, San Diego (1976) with an Applied Mechanics and Engineering Sciences degree. Meisen founded GENI in 1989 to conduct research and educate world leaders to the strategy of linking renewable energy resources around the world. He is an internationally recognized speaker on the global issues of renewable energy, transmission and distribution of electricity, quality of life and its relationship to electricity, the environment and sustainable development. 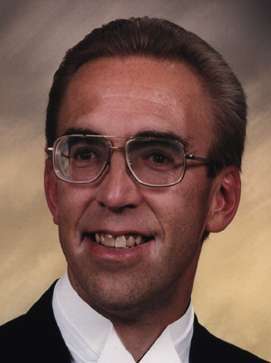 Mr. Dekker received a degree in Systems Design Engineering from the University of Waterloo (Waterloo, Ontario, Canada), in 1980. He joined the GENI organization in September of 1993 and is IT Director. He speaks locally about the GENI Initiative and writes occasionally on specific technical projects (GENI WMS Server, The GENI Model). He worked for nine years with UNISYS (Winnipeg, Manitoba), and one year with the Board of Education of the City of York (Toronto, Ontario). He is a principal of Green Star Standard, a Life Cycle Assessment consultantcy. Locally, he serves as on the Boord for the Sustainability Alliance of Southern California, where he advocates sustainable community policies. He participated on the Energy and Water Committee and Green Products Committee of the San Diego Regional Sustainability Partnership. He is a former member of the IEEE and is a member of the San Diego Chapter of the Institute of Management Consultants. Mary has over 20 years of experience in the corporate sector, including the biotech, high-tech and Department of Defense contractor industries. At GENI, she is responsible for general administration, and web design and development. While at GENI, she has also designed and created a personnel database, a customer billing system and database and marketing database. She is the coordinator of GENI’s interns and volunteers. Dr. Miller was president and co-founder of Access Research Corporation, an engineering company, as well as a board member of its parent company, TYX Corporation. Holding a doctorate in education with a focus on systems management from Cornell University, Dr. Miller was a founding trustee and member of the Board of Directors at California State University, San Marcos. She held teaching credentials in higher education in New York, Massachusetts, and California and serves as guest or adjunct faculty at several prestigious universities. In recent years, Access Research won achievement awards for Women in Technology and Successful California Women-Owned Business. In 1987, she received national recognition as "Entrepreneur of the Year" by Arthur Young/Venture Magazine. She enjoyed membership and affiliation in numerous engineering trade associations (IEEE, NSIA, AFCEA, ASTD, and NSPI). Thomas has extensive international experience as a team leader, negotiator, crisis manager, and director of large organizations supporting multiple government agencies located at U.S. embassies abroad. Tom led energized, motivated, and productive teams that consistently earned high marks from customers for innovation, service quality, and efficiency. During Mr. Young's Foreign Service career, he represented U.S. government interests to senior foreign-government officials and overseas business leaders emphasizing a collaborative approach to achieving operational goals and accomplishing successful international negotiations. Currently Tom serves as a director on the boards of two San Diego-based nonprofit organizations. Contact him at tomyoung158@hotmail.com. Pamela Stambaugh is the President and Founder of Accountability Pays. Her company provides advisory services to executive teams, gives guidance in executive management and distributes the Harrison Assessments Talent Solution to hire, retain and develop “A’ players. Pamela is a member of the San Diego Rotary Club and University Club of San Diego. A twenty-six year resident of San Diego and she is committed to making San Diego both economically and environmentally sustainable. André Skupin is an associate professor of Geography at San Diego State University. He received a Dipl.- Ing. degree in Cartography at the Technical University Dresden, Germany, and a Ph.D. in Geography at the State University of New York at Buffalo. Areas of interest and expertise include text document visualization, geographic visualization, cartographic generalization, and visual data mining. Much of his research revolves around new perspectives on geographic metaphors, methods, and principles, outside of traditional geographic domains. 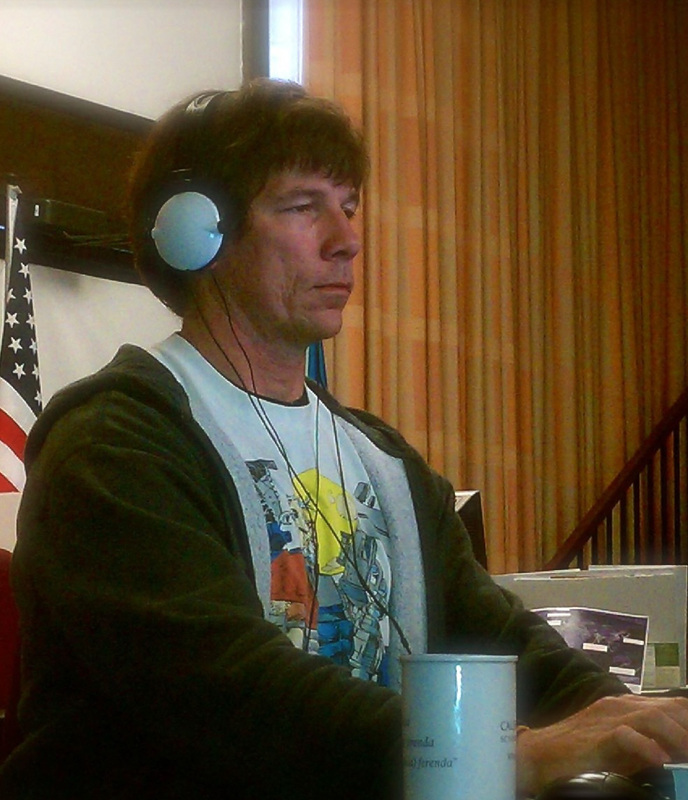 Andre’s GIS expertise has been invaluable in developing the Geodesign San Diego program. Even during his high school years, Tom harbored an interest in vehicles and energy efficiency. He has over 30 years of experience in executive management, technical product design and engineering research and development, particularly in heavy-duty hybrid-electric vehicles and large-scale energy storage technology. He is the recipient of a Lifetime California Community College Teaching Credential, a member of the Society of Automotive Engineers (SAE), a life member of the Institute of Electrical and Electronics Engineers (IEEE), a member and past vice chair of the Transportation Committee of the San Diego Regional Chamber of Commerce, and a member of the Land Use Water and Energy and Technology committees of the San Diego Regional Chamber of Commerce. He also serves on the board of directors of the San Diego Clean Fuels Coalition the US Department of Energy Clean Cities group in San Diego. Tom holds a BS and MS in electrical engineering from Stanford University and a MBA from San Diego State University. Phil Bona is a Senior Architect at BNIM Architects & Planning in San Diego. Previosuly a Planner at Baucentrum Urban Studio, and Adjunct Professor - Urban Design Studio at NewSchool of Architecture & Design, Chair San Diego Urban Design Committee of the AIA, making recommendations on future development in the region. Jessica Block, a staff research associate at Calit2, continues to use visualization technology to address environmental issues and natural disasters, particularly wildfires. She is part of a UCSD team, together with researchers from Australia’s University of Melbourne, who in 2012 received an Australian Research Council grant of $1.5 million to design, build, and install wireless streaming sensors that can withstand failures in the field. This leverages expertise developed at UCSD to allow emergency responders to access dynamic environmental data that were previously unavailable in real-time. Jessica previously worked at the immersive visualization Design Theater at Arizona State University, and brings that experience to the SimCenter. 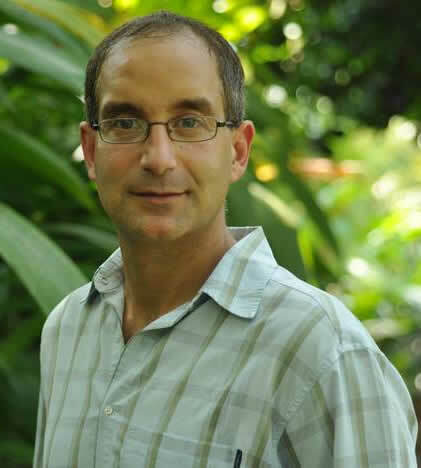 Jacques Chirazi, certified Biomimicry Professional has managed the California City of San Diego’s Clean Technology Program since 2007. His focus is to create economic growth while fostering sustainability. One emerging initiative is to bridge cleantech with biomimicry. He develops and supports a clean technology cluster in San Diego. Jacques served six years as Senior Project Manager at Bainbridge Inc., a strategic management consulting firm, which provides consulting services for Fortune 500 companies. He currently teaches sustainability courses and clean technology to business students at the University of California, San Diego and San Diego State University. He holds a Masters of Arts from UCSD Graduate School of International Relations & Pacific Studies in International Environmental Policy and a Bachelor of Arts in Marketing from San Diego State University. Jacques is also a certified Energy Manager (C.E.M. ), Renewable Energy Professional (R.E.P.) and LEED-GC. Zung established Thomas T.K. Zung Architects, Inc. in Cleveland, Ohio and the following year, 1968, designed the first elongated geodesic dome in association with Buckminster Fuller Synergetics organization. Thomas T.K. Zung Architects and R. Buckminster Fuller merged to form Buckminster Fuller, Sadao and Zung Architects designing numerous Geodesic domes, tensegrity structures, vector equilibriums, museum exhibitions, publications, and Fuller’s last invention, ‘Hang It All’. A Founding member of Buckminster Fuller Institute and SNEC, he is a Distinguished Senior Fellow to the Stanford University Libraries, and author/editor of Fuller’s ‘Anthology for a New Millennium’ published under St. Martin’s Press. Shoji Sadao (b. 1927), is a principal at Buckminster Fuller, Sadao, and Zung Architects (established in the 1970s). In the early 1950s, Sadao studied architecture at Cornell University, and it is there where he met Fuller, one of his instructors. The two began to collaborate in 1954, and their first project was the massive geodesic dome for the U.S. Pavilion at Expo '67 in Montreal. Other collaborative projects included the Dymaxion World Map, the design and fabrication of the tensegrity (tension + integrity) mast, and the Student Religious Center at Southern Illinois University at Edwardsville. Sadao is also Executive Director of the Isamu Noguchi Foundation, Inc. in Long Island City, New York, and had worked closely with Noguchi on many public art projects, gardens, and playgrounds, blending sculpture, innovative materials, and landscape architecture and designs into functional environments. After Noguchi's death in 1988, Sadao oversaw his projects to their completion.